A fantastic small vintage articulated desk lamp. 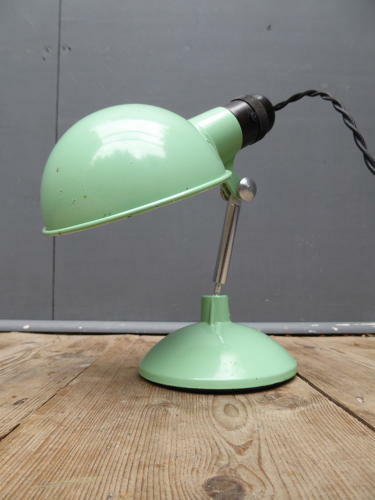 A great little lamp, in excellent condition & in wonderful shade of glossy pastel green paint, wired in twisted black flex with a switched Bakelite bulb holder. Designed to fold for travel & can be attached to a vertical surface using the sprung clamp under the base. The best example of this type of lamp I've had the pleasure to buy! Wear commensurate with age, overall excellent condition with only very minor wear.